The waters of the Bay of Plenty are a marine wonderland. Explore protected offshore islands, an active island volcano and waters teeming with fish. Our region offers plenty of opportunities to get active on the waves or under the water. Probably the most well known off shore journey in the Bay of Plenty is the trip to White Island. An active volcano, White Island is a huge tourist attraction for the area. White Island is 50 kilometres off the coast and most easily accessible from Whakatane. Its volcanic structure is said to be over two million years old, with the actual volcano in existence between 100,000 and 200,000 years. A unique feature of White Island is that the majority of its structure is underwater, attracting a huge amount of curious divers and volcanologists. Tour operators will take you to the island by boat and plane, giving you a guided walk among steaming gases and bubbling mud. 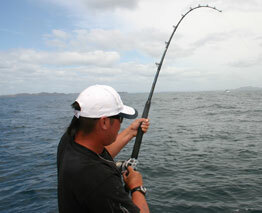 The Bay of Plenty’s clean waters are surging with a great variety of fish. From surf casting to deep sea fishing, the sport has a huge following from locals and visitors to the area. As a result, most of the main towns in the region offer fishing charters of every size. Half day trips and overnight stays are common, with experienced guides boasting extensive game fishing knowledge. Many trips take in waters near Mayor Island and White Island (protected marine reserves) and the Bay of Plenty is regarded internationally as home to some of the finest game fishing waters in the world. World marlin, swordfish, kingfish and hapuka records have been set in these waters. 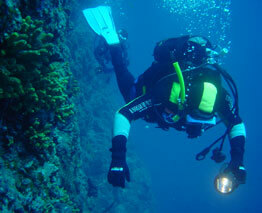 Bay of Plenty’s marine environment offers numerous diving opportunities for the keen scuba diver. Clean, clear waters, unique marine life and experience operators give you a safe trip under the waves. White Island and Mayor Island’s protected marine reserves are popular destinations. A variety of PADI 5 star training facilities and dive operators offer courses, dive trips, charters and equipment hire within the Bay of Plenty. These graceful creatures are common visitors to Bay of Plenty waters and a number of dolphin watching and swimming adventure tours offer the chance to meet them. Most cruises offer quality boats, snorkelling equipment, a knowledge of marine and bird life in the area and are often guided by marine biologists. Whale watching is based out of Whakatane, while most dolphin watching tours operate from Tauranga, Mount Maunganui and Whakatane. 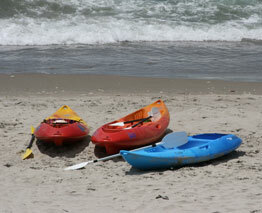 Sea Kayaking is extremely popular in the Bay of Plenty for obvious reasons! A number of operators offer training, equipment and tours out on the waves.